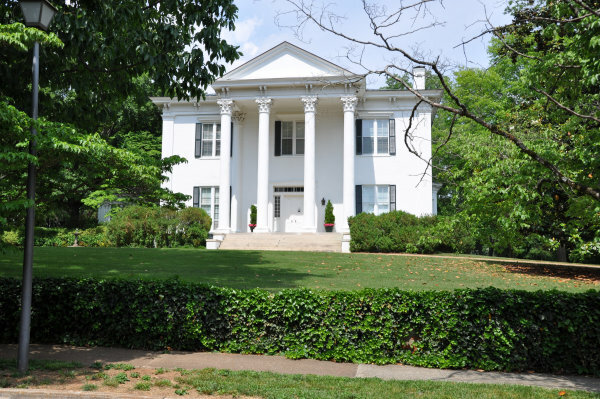 Diagonally to your right is the stately Moore house at 603 Adams Avenue. 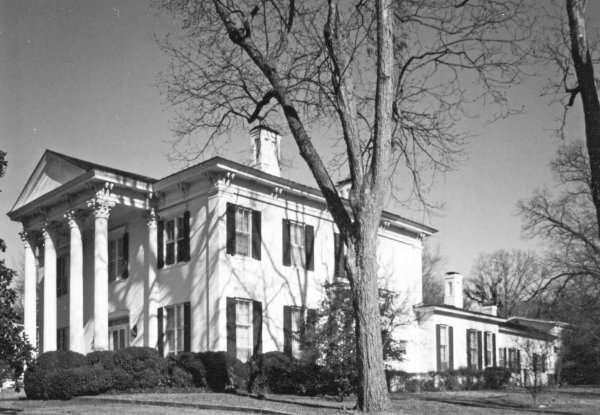 The back portion of the house was constructed in 1826 by newspaper editor John Boardman. John Boardman came here from Connecticut and was given a sum of money to invest in land for the School for the Deaf and Blind where his sister was a student. At some point officials at the school asked him to sell the property and send them the money. Mr. Boardman reportedly sold the property and moved to France for his health, and he took the money with him. Since the 1892 World's Fair, this mansion has been linked to a Jersey cow owned by homeowner Samuel Moore. Mr. Moore was particularly proud of Lily Flagg, his prize-winning, butter-fat producing Jersey cow. He was so proud that he took the cow to the fair in Chicago by railroad car from the Huntsville Depot. Have you seen our fine Depot, yet? At the fair, indeed, Lily Flagg was judged the World's leading butter-fat producer. On their return, Mr. Moore threw a ball in honor of the cow. And he painted the house butter-fat yellow for the gala occasion. Some fifteen hundred guests were invited. The honoree, Lily Flagg, stood on a platform on the patio to the left of the house. Moore also named a rail switch on his plantation in south Huntsville for the cow. A street near there still carries her name. The nearby swim club is called Lily Flagg Pool and their mascot is, well, you guessed it, the Lily Flagg Cows. 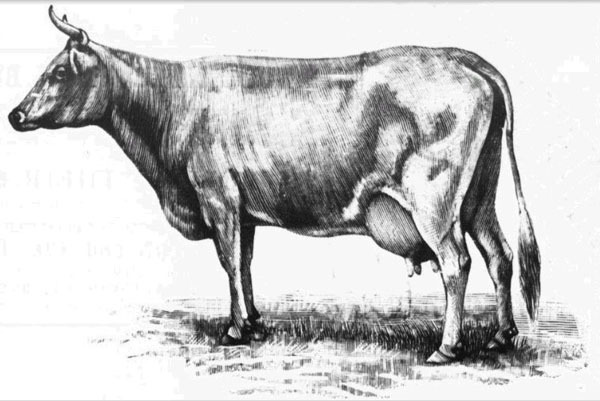 Lily Flagg, a Jersey cow, the top butter producer in the world in 1892. 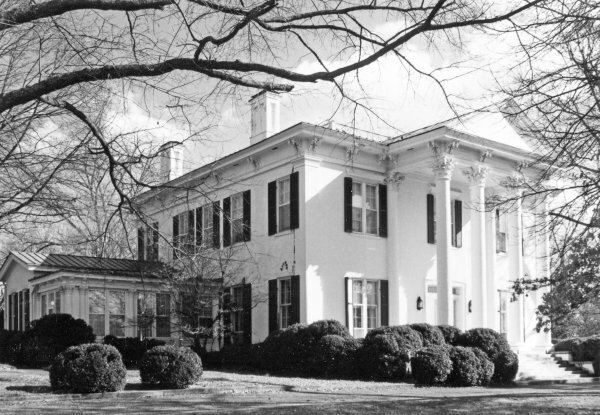 She was owned by W. E. Matthews and Samuel H. Moore of Huntsville, Alabama, who held a massive party at 603 Adams Street to celebrate her accomplishments. Rights: Wikipedia; "The Champion Butter Cow - Signal's Lily Flagg". The Sydney Mail. The Sydney Mail. 1892-10-22. Watkins Home. 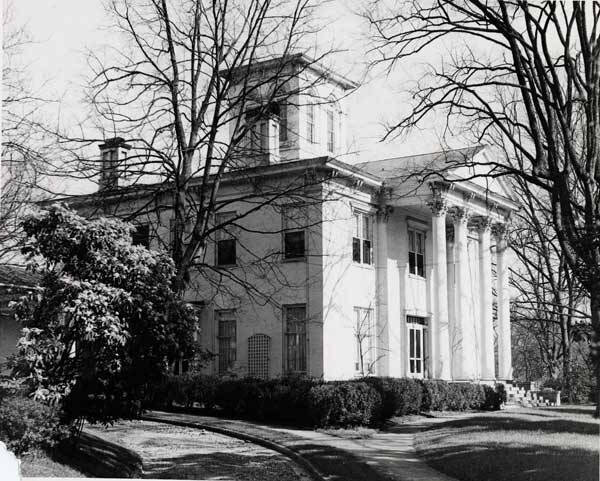 The Italianate Revival mansion at 603 Adams Street was built by James L. Watkins in the 1850's. 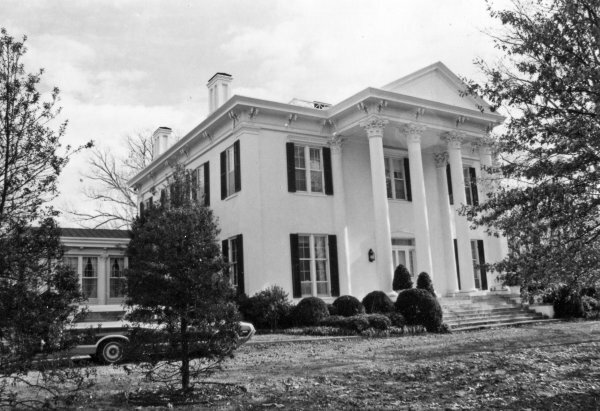 The home was taken over by General Mitchell of the Union Army as headquarters for his staff during the Civil War. Mrs. Watkins had just given birth and died when the Federal army occupied the house. 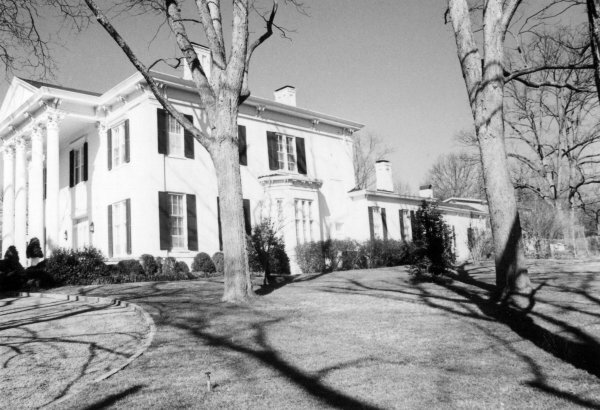 The house was taken over in 1864 by General John Logan to use as his headquarters.